Committed to quality service at affordable prices. 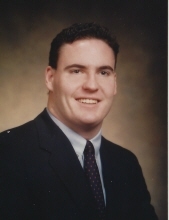 John Joseph Murphy, 51, died on February 9, 2019 at his home in Cranford NJ. He was born in Princeton, NJ, on May 31, 1967 and moved to Cranford in 1969 where he lived for the rest of his life. While a student at Cranford High School, John was best known for his achievements in football and wrestling. He played football for the Cougars as #61 throughout his high school years and was co-captain of the team. He stood out as guard and linebacker and was the second Cranford player to ever be selected for the New Jersey North-South Game. One would also find John on the wrestling mat at 188 pounds or as heavyweight. He was instrumental in several major wins and was a member of the team that won the 1985 New Jersey State Champions- North Jersey Group 3. John graduated from Muhlenburg College in Allentown, PA with a degree in accounting. He was recruited to play football as a freshman and played on the varsity team for 4 years. His position was middle linebacker and he was known for being a “hard hitter”. He played for the Mules as #68. John leaves behind his fiancée Sara Chin and their daughter Shannon Mei Murphy. He is also survived by his mother, Barbara Joyce (Kelleher), his sister, Colleen (Joseph Murphy), nieces Molly and Caitlin and nephew Aidan. He is predeceased by his father John (Jack). Visitation will be at Dooley’s Funeral Home, 218 North Avenue W., Cranford, NJ 07016 on Wednesday, February 13, from 7-9pm and Thursday, February 14, from 5-9pm. The Mass of Christian Burial will be celebrated at 9:30am on Friday, February 15, at St. Michael’s RC Church, 40 Alden Street, Cranford. Burial is at Fairview Cemetery, 1100 E. Broad Street in Westfield, NJ. In lieu of flowers, donations in his memory can be made to St. Jude Children’s Research Hospital or the Cranford Wrestling Parents Club, 28 John Street, Cranford, NJ 07016. To send flowers or a remembrance gift to the family of John J Murphy, please visit our Tribute Store. "Email Address" would like to share the life celebration of John J Murphy. Click on the "link" to go to share a favorite memory or leave a condolence message for the family.